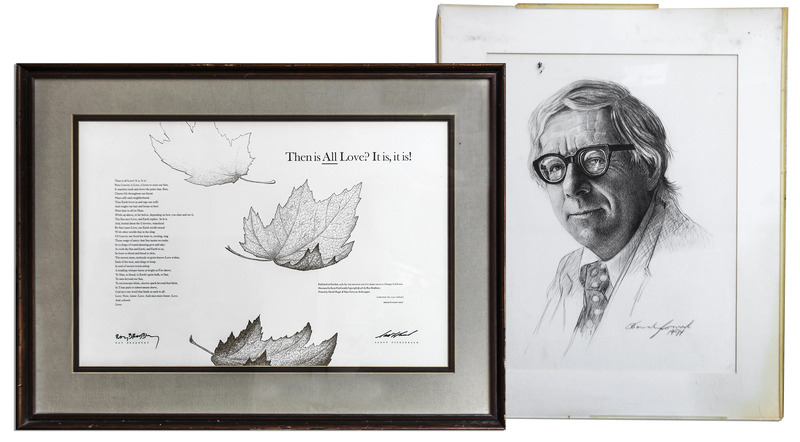 Ray Bradbury portrait sketch and signed limited edition poster featuring his poem, ''Then All Is Love? 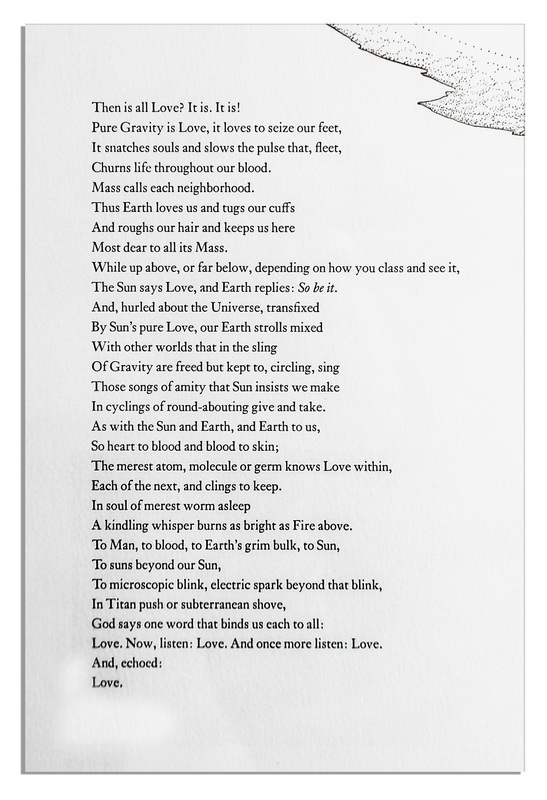 It Is, It Is!'' 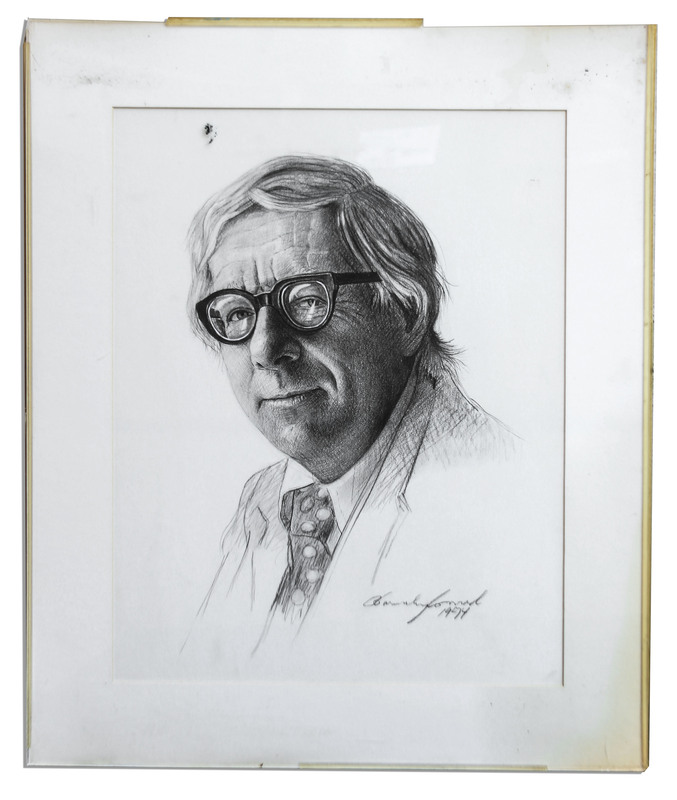 Excellent bust portrait of the author is done in pencil, signed illegibly and dated 1974. 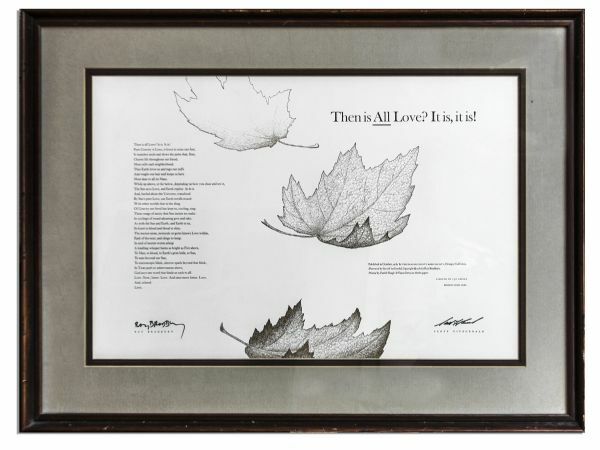 Matted and framed to an overall size of 20'' x 24.25''. 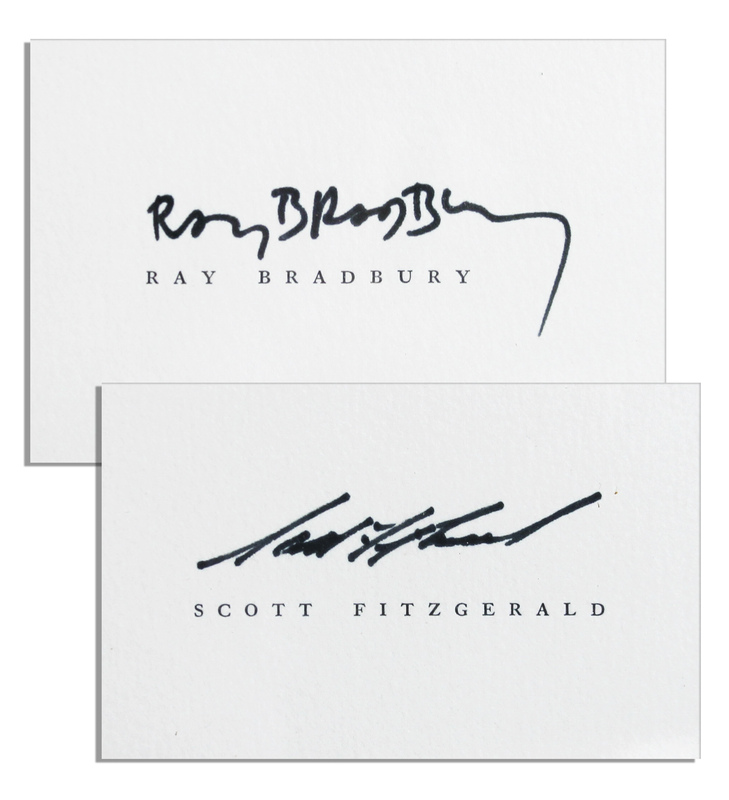 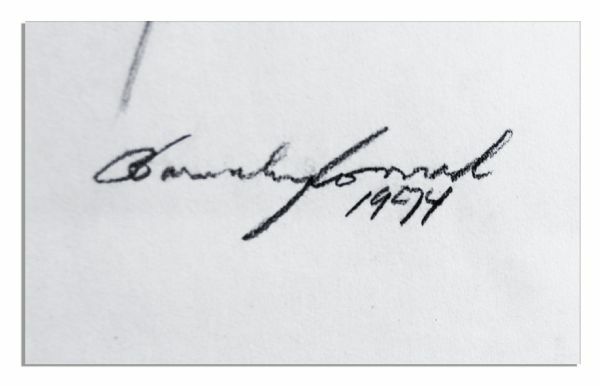 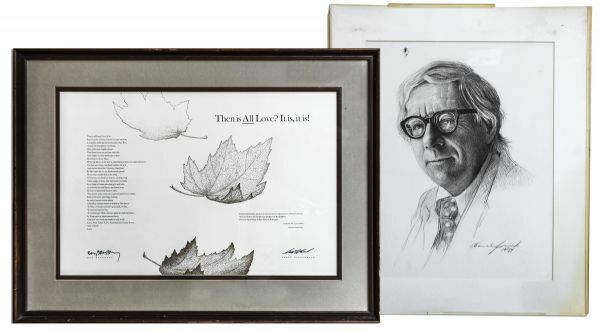 Poetry poster is one of just 230, signed by Bradbury and by the illustrator Scott FitzGerald, whose illustration of falling maple leaves accents Bradbury's poem. Matted and framed to an overall size of 28.25'' x 21.5''. 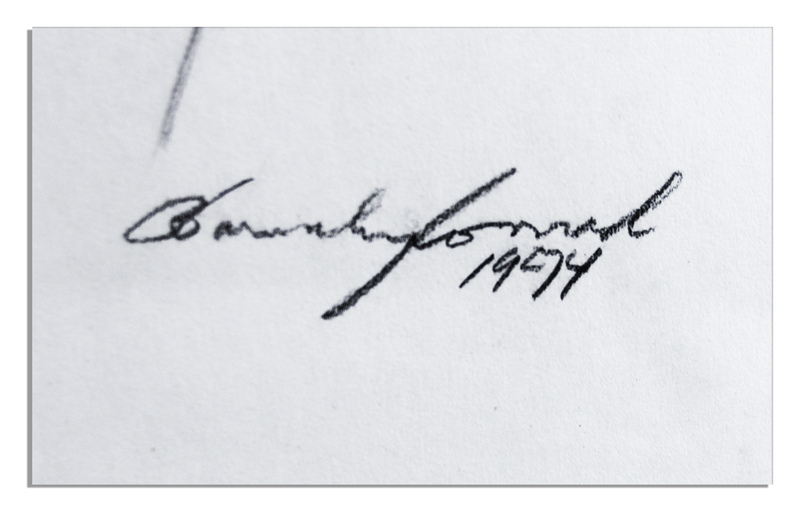 Neither has been removed from frame but appear near fine. With a COA from the Ray Bradbury estate.